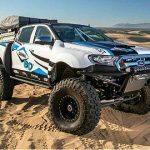 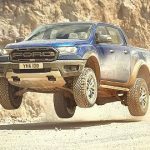 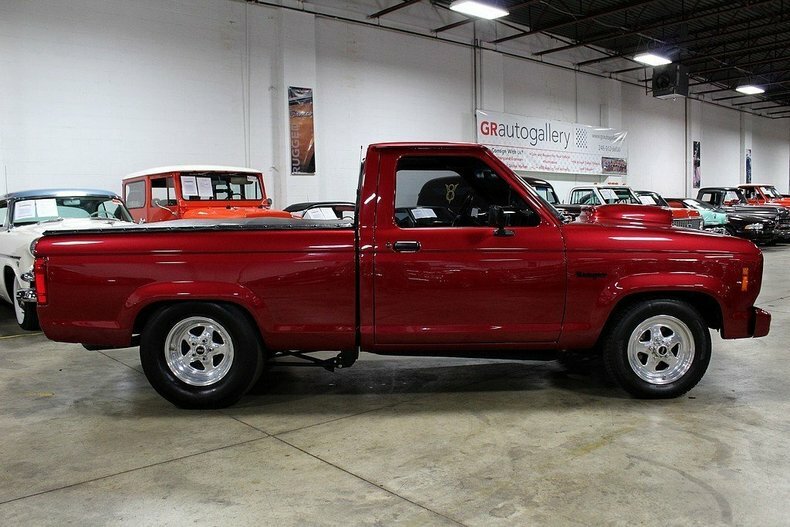 There’s something about the style and body lines of the first generation Ford Ranger that make them cool candidates as a hot rod. 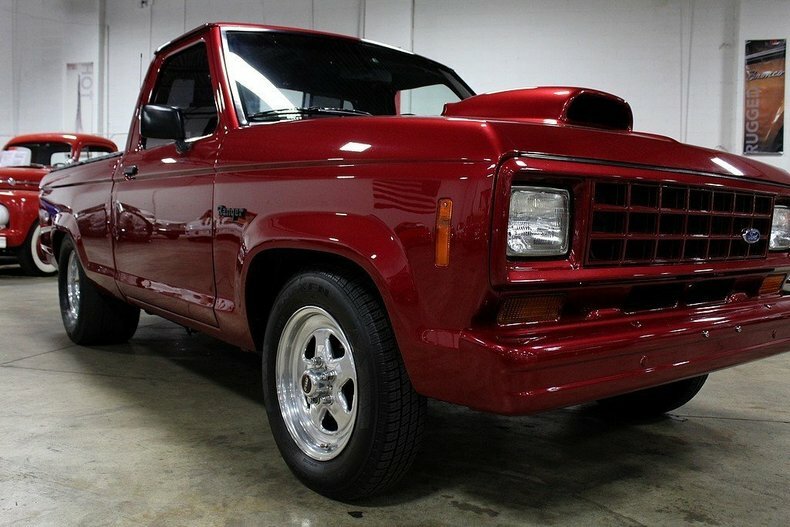 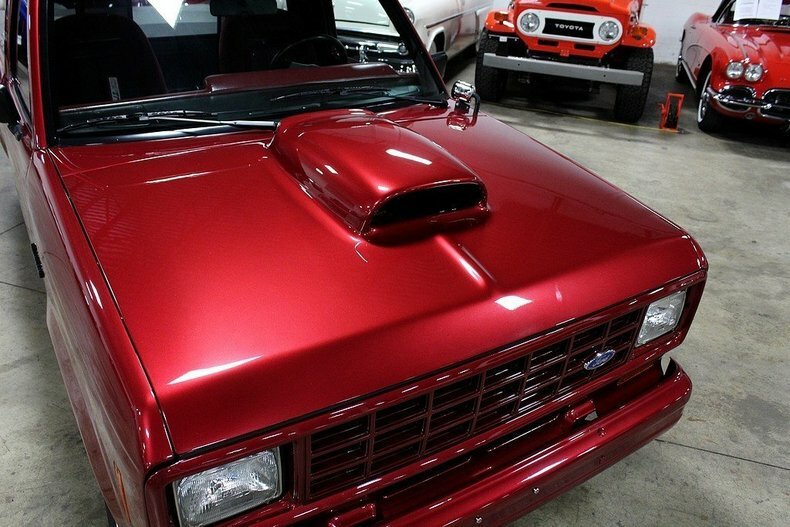 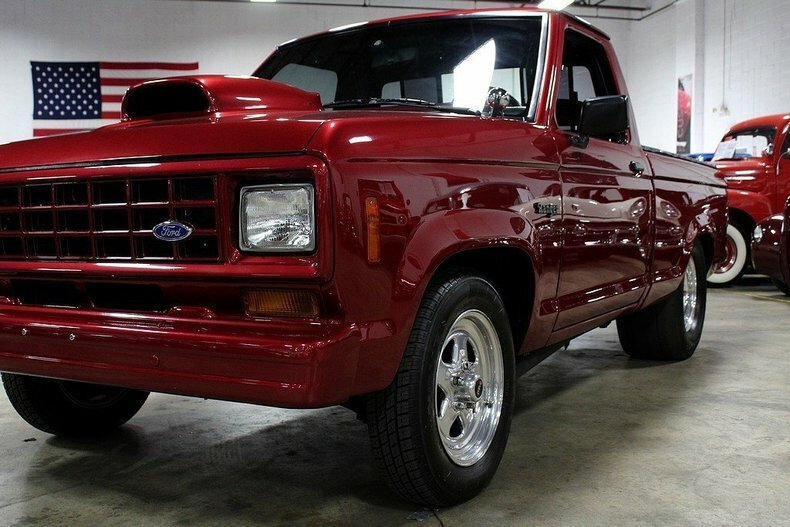 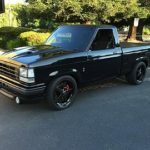 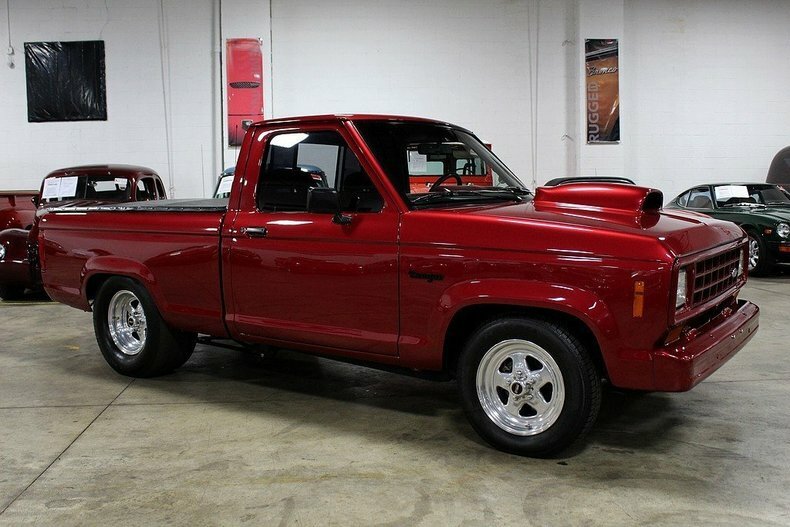 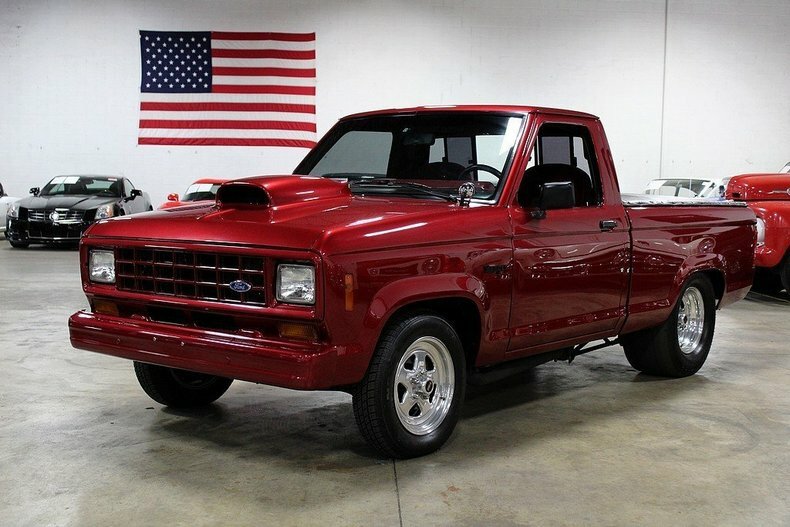 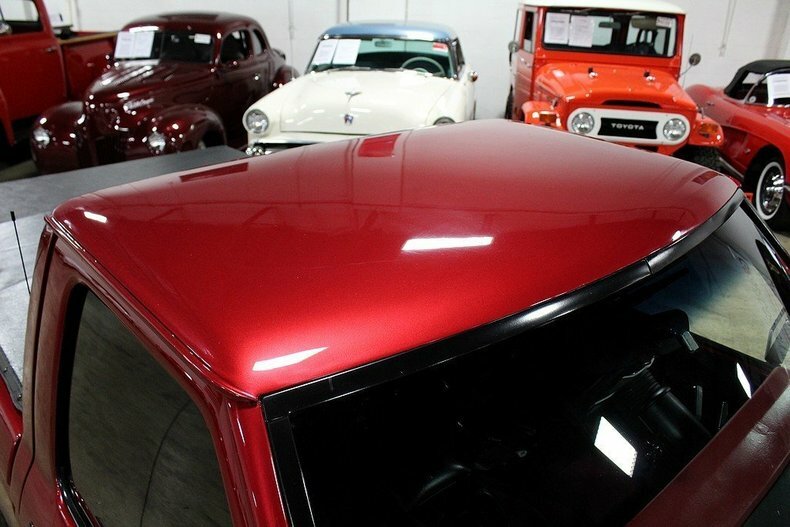 This 1986 dark red Ford Ranger is definitely a cool example of one. 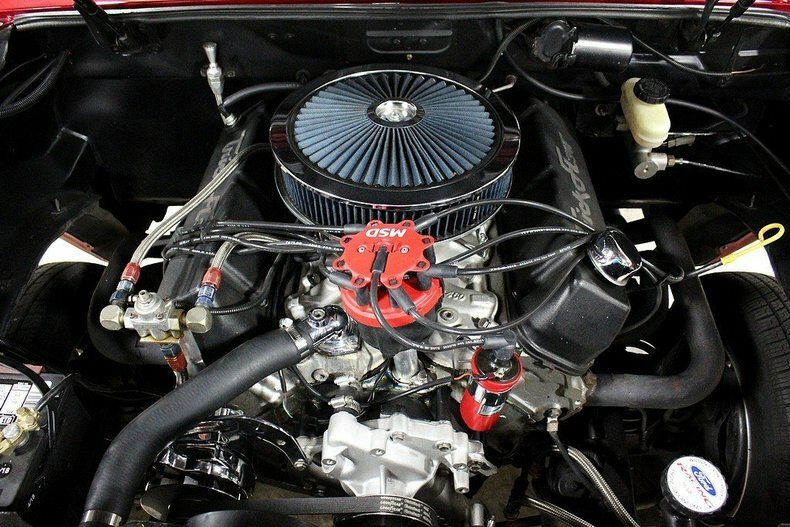 The tiny 170 CID (2.8L) V6 has been replaced by a massive Ford 460 CID V8 engine, and is ignited by a MSD Digital 6AL ignition. 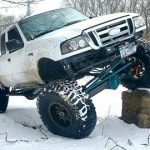 A B&M Pro Ratchet shifter directs the power to a Ford 9-inch rear axle. 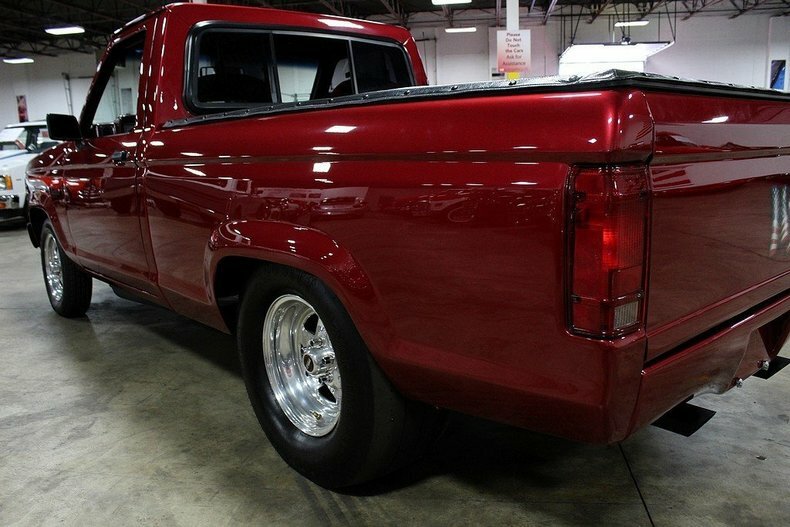 A Detroit Locker and 3.55 gears help turn the Hoosier Quick Time Pro 29×14.50-15LT rear tires. 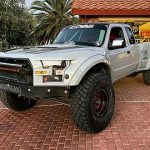 The front tires are Nexan SB-802 165/80R/15, and all four wheels are from Weld Racing Wheels. 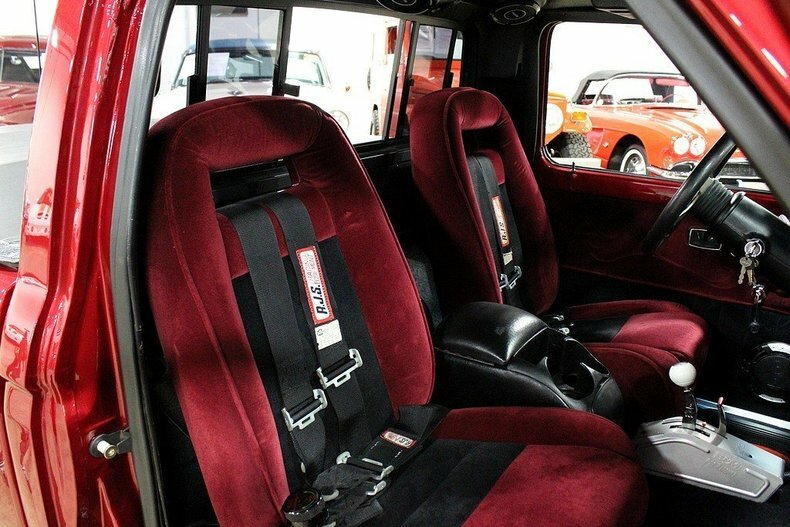 RJS racing harnesses keep the occupants in please when the driver steps on the go pedal. 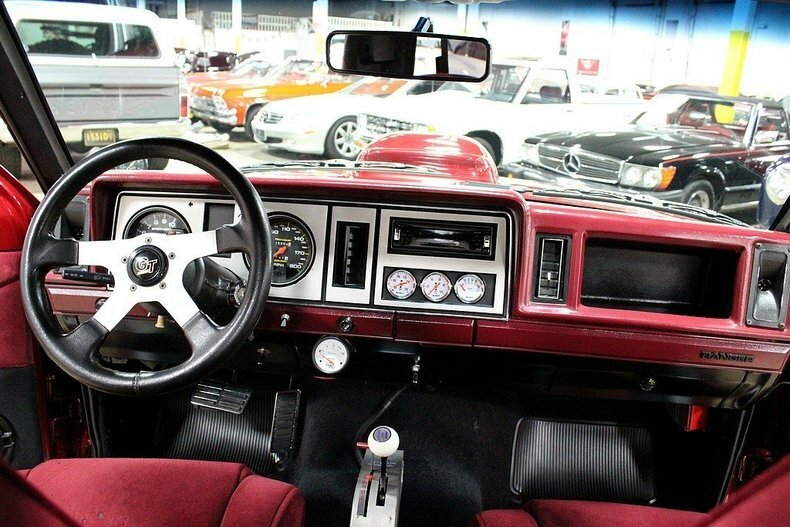 The Ranger features a custom interior with Auto Meter gauges. 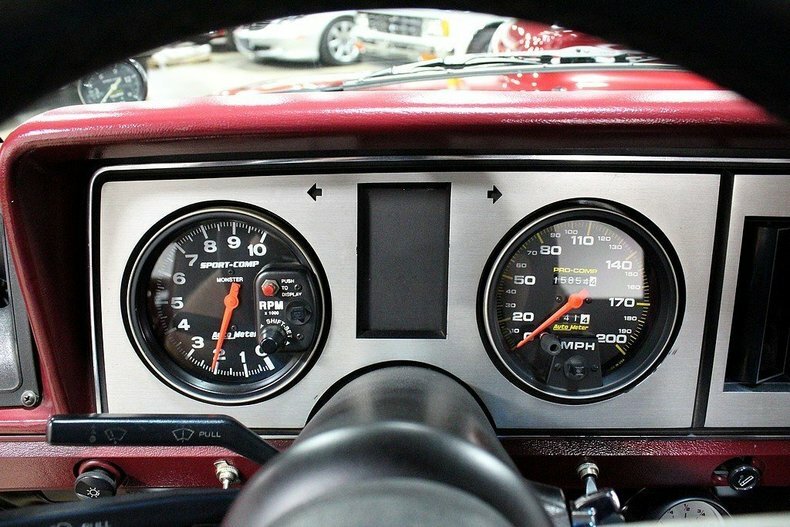 I especially like how the speedometer and tack fit in the factory dash openings. 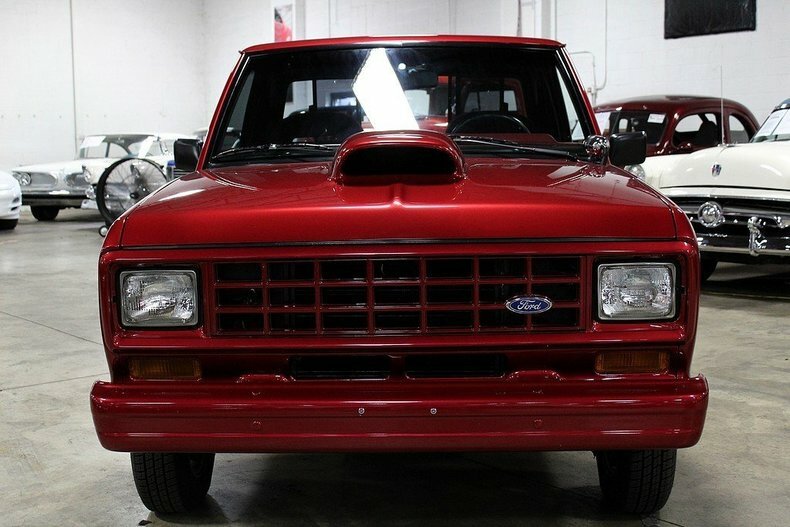 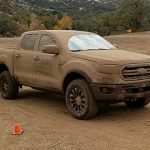 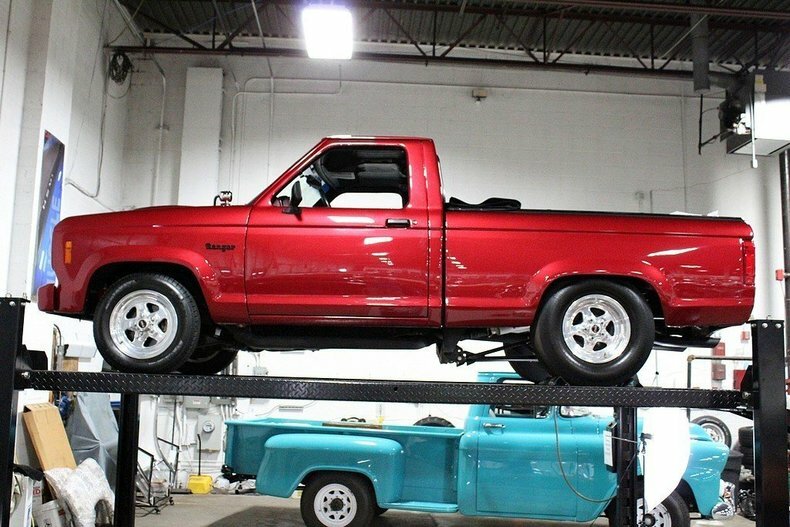 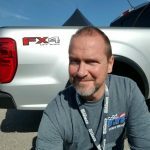 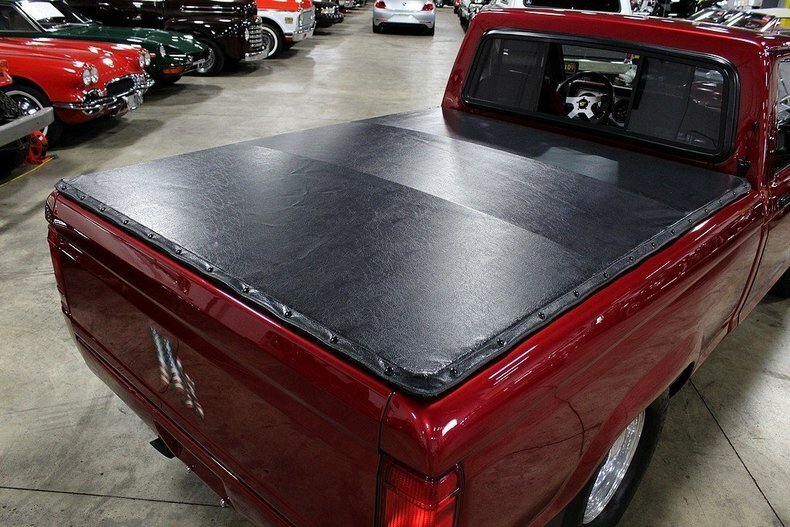 This Ford Ranger is currently listed on ebay for $25,900. 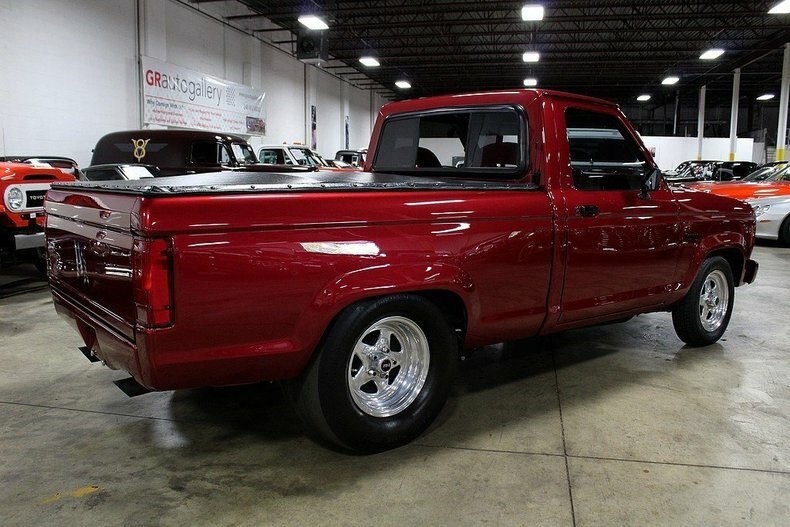 Or you can call the GR Auto Gallery at 855-827-3884 . 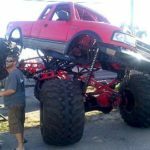 Click on the images to enlarge – click the arrows to load more.